Port, as affectionately known by the locals, is enjoyed by everyone – Families, couples, singles and celebrities are all inspired by the laid back lifestyle, superb natural attractions and effortless sophistication which blend together to create the unique flavour of Port Douglas. The main street of Port Douglas is Macrossan Street, lined with boutique shops, luxurious spas, stylish cafés, funky bars and pubs and world class restaurants. Crystalbrook Marina offers live music, bespoke cocktails, craft beer and various delicious dining choices – An excellent place to enjoy a sundowner overlooking the harbour and watching the boats come back from their day at the Reef. Four Mile Beach provides a stunning stretch of white sandy coastline, perfect for peaceful walks, lazing in the sun on the warm sand or swimming in the calm waters of the Coral Sea. 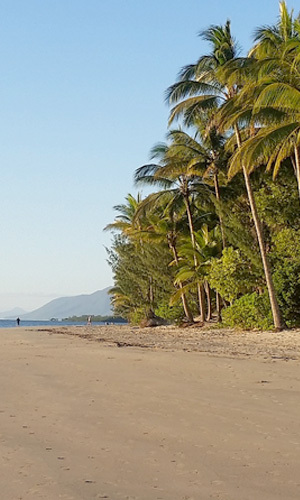 Port Douglas is the gateway to the magnificent Great Barrier Reef and the tranquil world heritage listed rainforest. The region offers an amazing array of experiences to make your holiday a memorable one.